If you're around my age or older, you can't help but remember the Cold War. It was the Western Bloc against the Eastern Bloc. 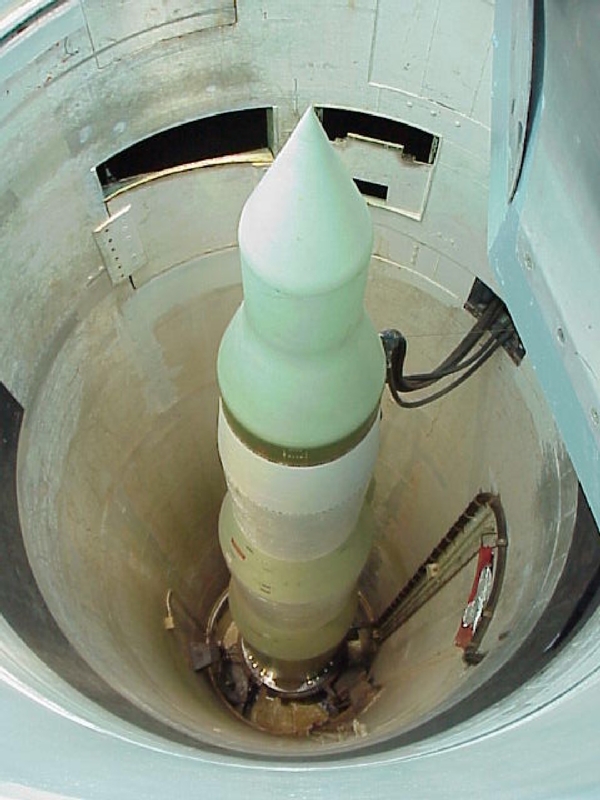 Both sides had strategic nuclear weapon defenses ready to use in case one side had a military strike against the other. Thankfully, neither side called an order to strike. 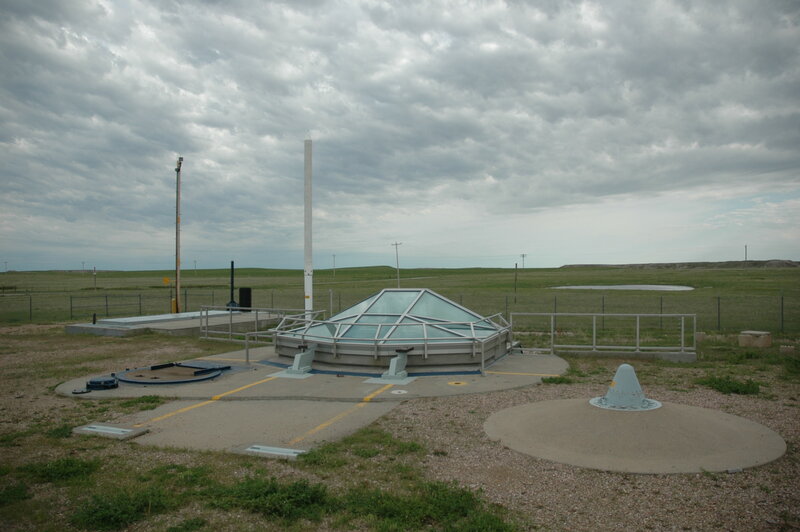 There were several of these defensive missile sites in the Northern Plains. We toured one of them today. This particular one was built in the early 1980s. 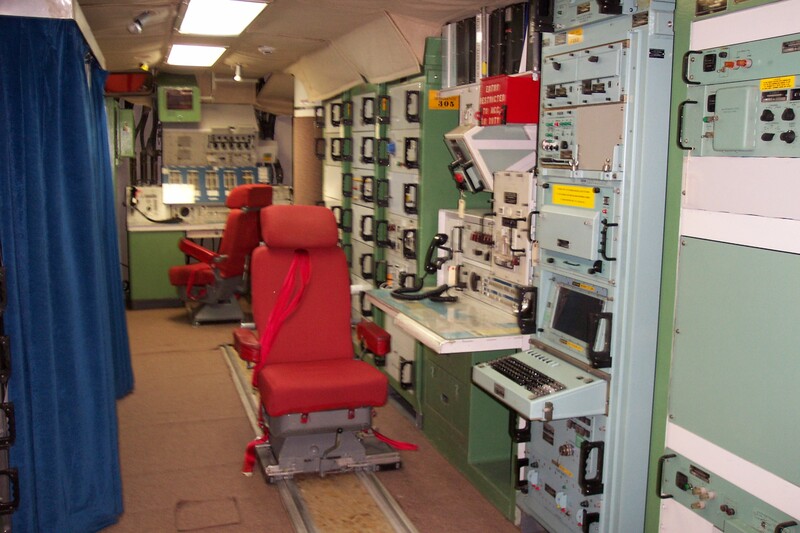 Operations shut down in the early 1990s after the cold war was over. The National Park Services maintain this site as it looked and operated then. Two men worked in the small chamber on 24 hour shifts. They were the ones who would launch the missiles if the call to strike ever came. This is the steel-and-concrete blast door that seals the entrance to the control center. The door was painted as a twist to the old domino pizza commercials. 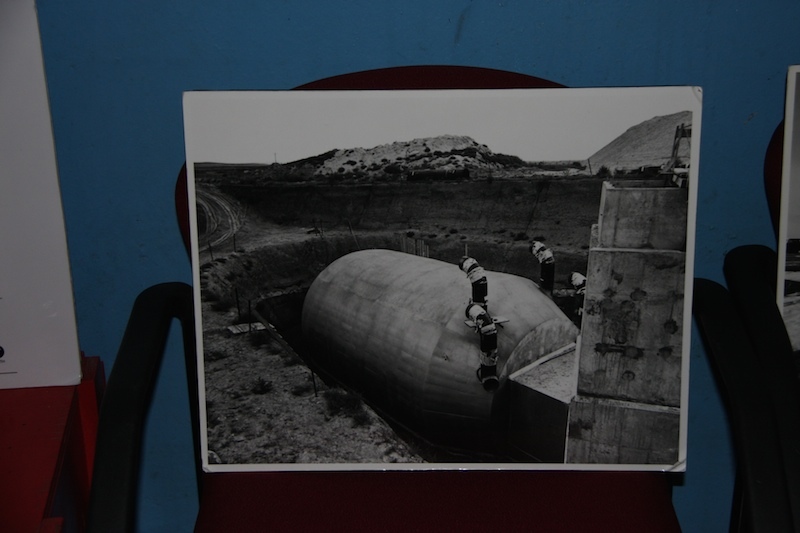 This is the chamber as they were putting it into the ground. It's buried under 30 feet of dirt and sand. We also visited an actual missile silo. 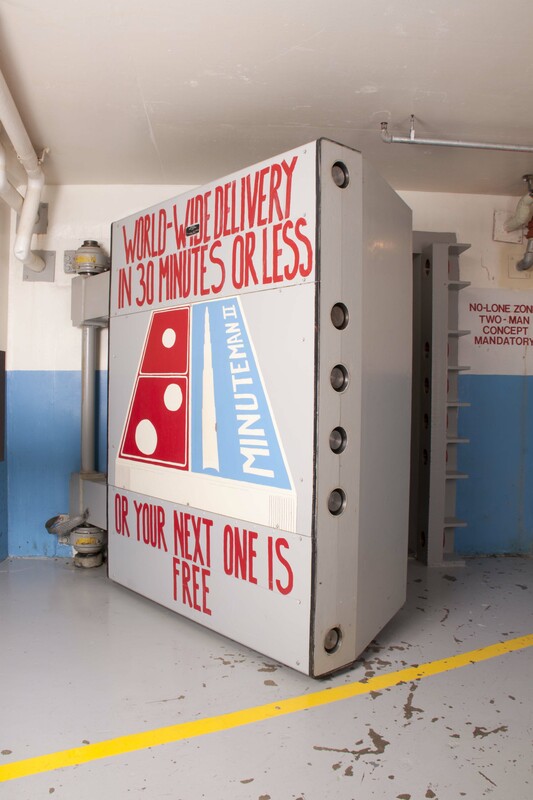 The door covering the missile weighed 90 tons. I took a bunch of photos, too. 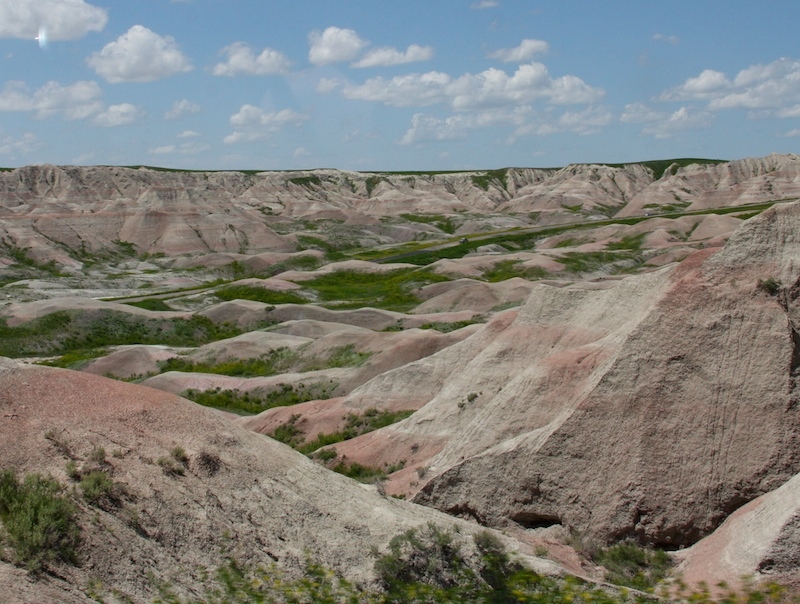 But these from the National Park Services seem to be better. The glass on the door is just for our viewing purposes. They didn't originally have the glass. But my photos had a lot of reflections from the glass. 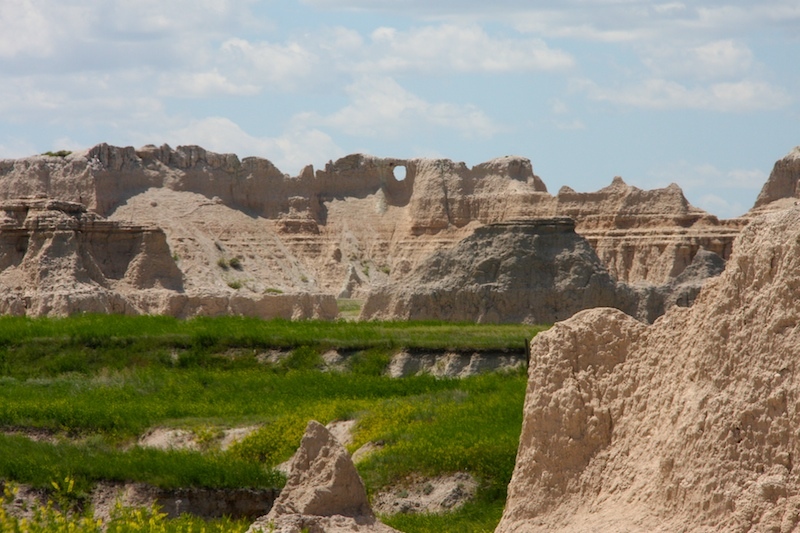 While we were near the Minuteman Launch Site, we took our last drive through the Badlands. They look a little bit different than the ones in North Dakota. Today's adventures were a little more somber than some of our other days, but still very important to our journey. I remember my mom being afraid of a nuclear attack in the 70s. She talked about building a bomb shelter under our house. I also remember the controversy about the missile silos being built. At the time I didn't know they were talking about something different from a grain silo. I didn't understand why anyone would be so upset about a grain silo. Of course, I learned about it in middle school and high school so I knew the difference by then. Also, Jimmy travelled the Soviet Union in May-June 1989, just 5 months before the Berlin Wall fell, which was a key moment in the ending of the Cold War. when all this was happening i was on the other side of the pond with no clue as to what was happening.